Situated among a long row of boutiques, Lito’s is in a perfect position to offer that most essential of snacks: the one that provides sustenance for more shopping. 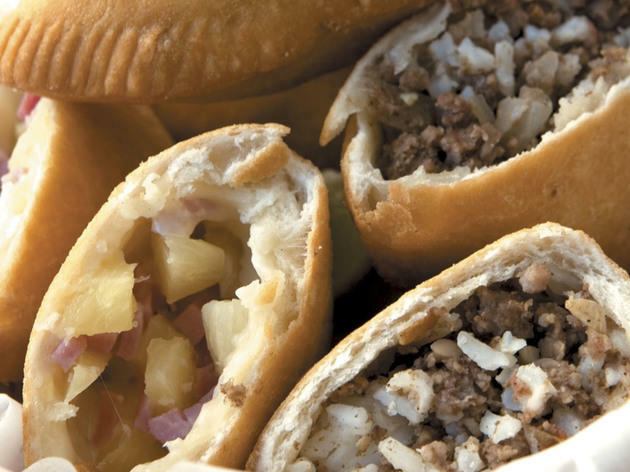 The small storefront offers about eight stuffed pastries a day, including a “Hawaiian” version with mozzarella, ham and pineapple, and a hearty version with shredded chicken and rice. One makes a snack; two or three make a meal. El stop: Brown, Purple (rush hrs) to Diversey, Red to Fullerton. Bus: 22, 36, 134, 143, 151, 156. This is my favorite empanadas place in the city! 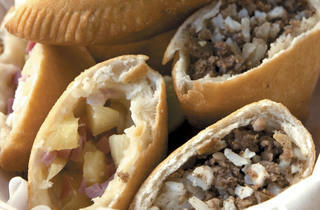 Love the creative menu and the fusion and modern take on the empanadas. Also, it's really cheap and filling. The place is small and have limited seating so most of the time I would order a few to take home.